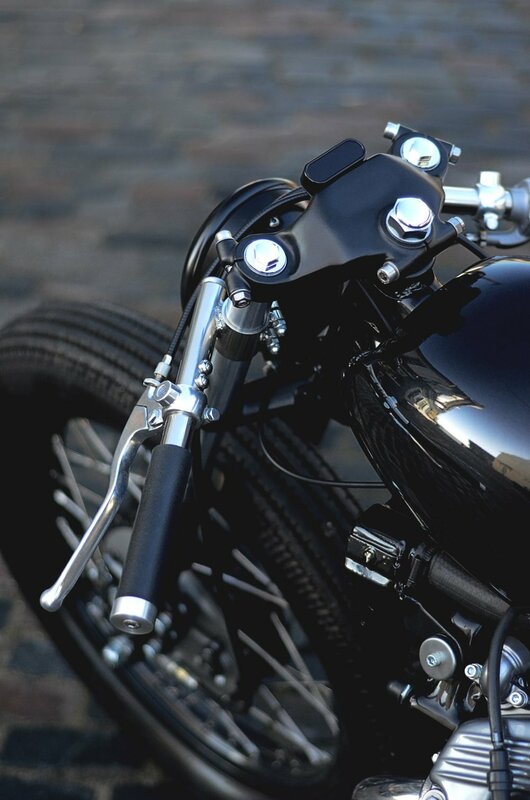 The darker side of Auto Fabrica, the Type 8 blurs the boundaries of aggression, beauty and refinement. 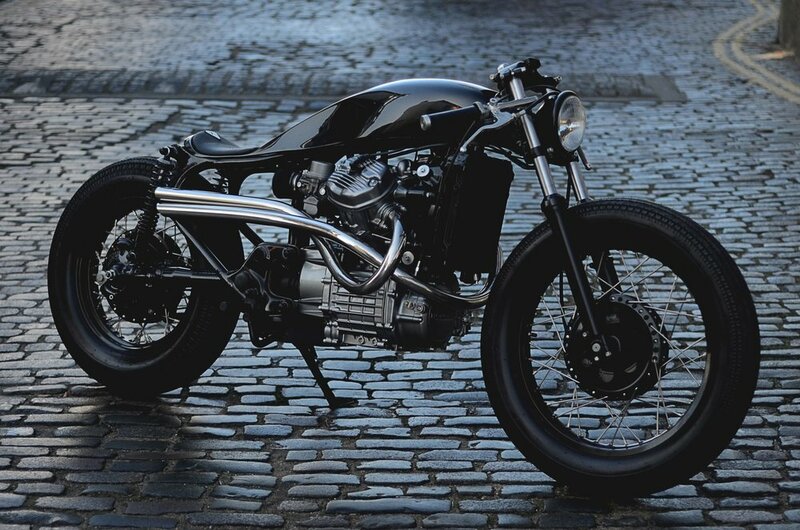 The build began part way through the Type 6 build, another of the more high end motorcycles to come out of the workshop. A returning and evolving single body design where both tank and seat seamlessly flow into one another. 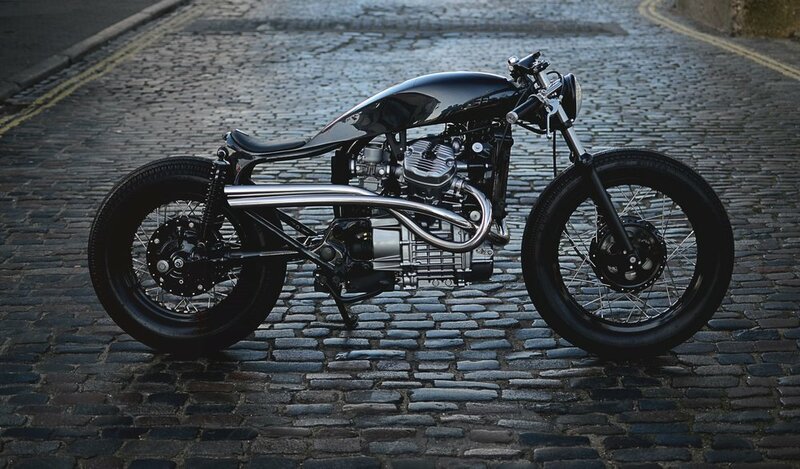 Inspired by bobber motorcycle riding positions/proportions but doing away with any unnecessary over designed elements, the rebuilt, refined and highly recognisable lump from the CX500 does the talking with organically flowing sand bent pipes flowing abruptly through the length of this unique motorcycle. After spending time travelling for various motorcycle and design shows, the Type 8 found a home with a client in the United Emirates where it is being enjoyed to the fullest. Colour + Trim : Black metallic paint Black leather seat with brushed aluminium detail.